Last week I shared with you how to make Pomegranate Molasses and mentioned that in my upcoming posts I’d share some recipes using the molasses. Scallops are a favorite of mine because they’re quick and easy to prepare and taste so sweet. 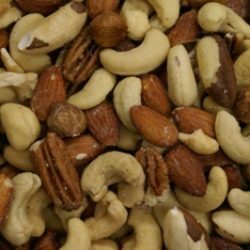 Whether you eat them plain, combined with other veggies or grains, they’re delicious! There are several different types of scallops you can purchase so it’s important to be familiar with them. Back in 2011 I posted a recipe for Coconut Encrusted Scallops with Banana Colada Sauce and listed some important facts I think you’ll want to know, plus some tips for purchasing and cooking them. If you’re interested in the full anatomy of a scallop, this article tells it all, and for some fun facts read this! Scallops are always a great sustainable choice. To find out the best choices when you plan to shop, visit the Monterey Bay Aquariums Seafood Watch, and be sure to download their app. I’m always glad I have it with me. The recipe below takes only about 10 minutes to prepare, so long as you’ve already prepared your quinoa. If you don’t like quinoa substitute rice, barley, wheat berries or whatever else appeals to you. 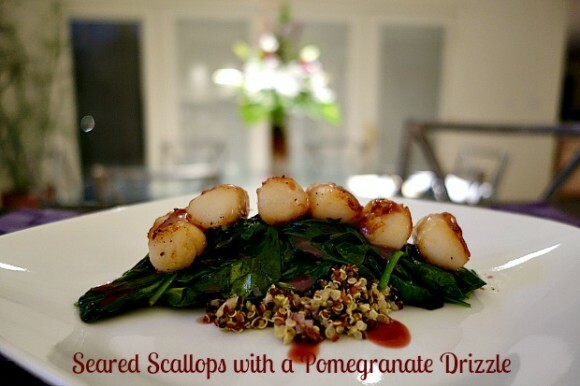 My recipe for Seared Scallops with a Pomegranate Drizzle is full of flavor and nutrition. Whether you’re preparing it for yourself, for two or more, it can be ready in no time at all. I hope you’ll give it a try. A quick nutritious and delicious meal. This recipe can be doubled, tripled, etc. Heat 2 tablespoons of canola oil in a large saute pan (not non-stick) over high heat. Season scallops with salt and pepper. When oil is almost smoking, add scallops in a single layer with 1/2-inch space between them. Cook undisturbed on one side until golden brown, 1 1/2 - 3 minutes depending on size. Flip and cook the second side. Scallops should be slightly translucent in the center. Transfer to a plate and keep warm. Add remaining tablespoon of oil to pan. Add shallots, and cook for 1 minute or until translucent. Add fresh spinach, and season lightly with salt and pepper. Using tongs, toss until spinach has wilted and is bright green. To Plate: Add 1/2 cup of cooked quinoa in center of plate. Top with 1/2 the spinach. Set 6 scallops in a row on top of the spinach and drizzle with Pomegranate Molasses/Creme Fraiche blend. Pomegranate Molasses/Creme Fraiche Blend: Combine molasses and creme fraiche together. Stir until smooth, then set aside until ready to use. 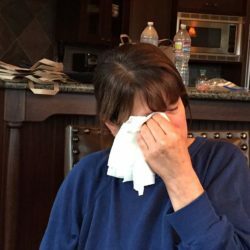 Dear Vicki, I have not had scallops is so long. These sound healthy and delicious. I love the pomegranate drizzle. My daughter has been using pomegranate to make different dishes lately and I enjoy it. I need to make more scallops! Yours look perfectly seared and love how you accented them with your awesome pomegranate molasses!! 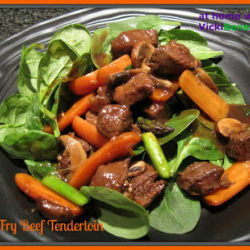 An inspiring dish Vicki! 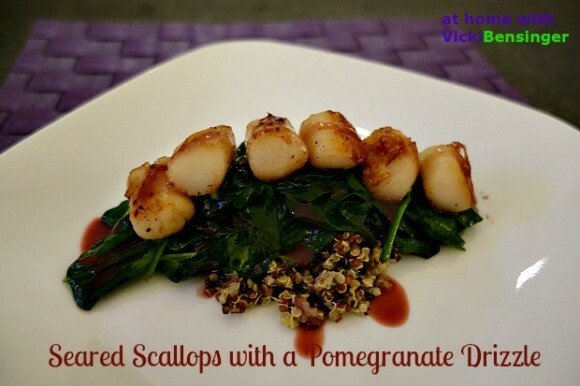 Hi Vicki, your scallops are seared perfectly, beautiful dish. I adore scallops! 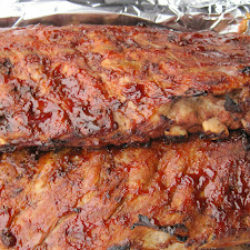 These look really beautifully prepared and very tender. I was wondering what recipe you’d come up with for your pomegranate molasses, Vicki! What a wonderful choice! My husband and I both enjoy scallops and the shallots and spinach sound delicious with them. 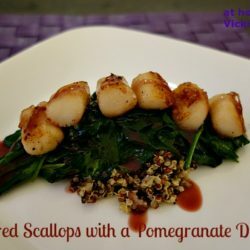 Pomegranate molasses and scallops – wow – I am so intrigued by this – it looks wonderful – and ready in only 10 minutes! Sounds wonderful Vicki. I forget about scallops for some reason but this is a delicious reminder!